The Vancouver region’s house price index eked out a 0.6 per cent gain in June from May to reach a new bellwether. 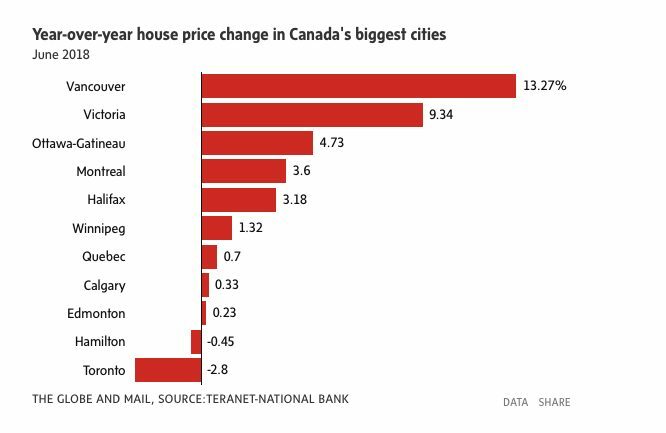 Vancouver’s Teranet-National Bank House Price Index posted a jump of 13.3 per cent from June of last year. The index’s reading of 292.84 remains the highest in the country. The average price in Vancouver stood at $941,607 in June.